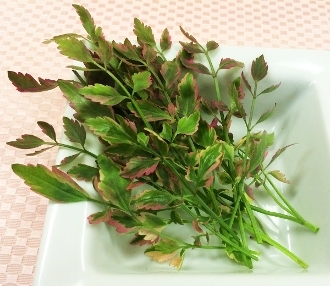 Green varigated leaves with pink tips & long stems. Fresh celery flavor. Pretty & tasty addition to any dish, such as soups, poultry entrees & seafood.